Item number [XXXX] is serialized. Transactions on serialized items require both a serial number and a quantity of one. This error comes up when an item is attached as detail to a specific task the tech has added to the invoice, and he/she does not add a serial number to the part in the Parts Used section. Locate which task was used that has detail attached to it from SuccessWare21. 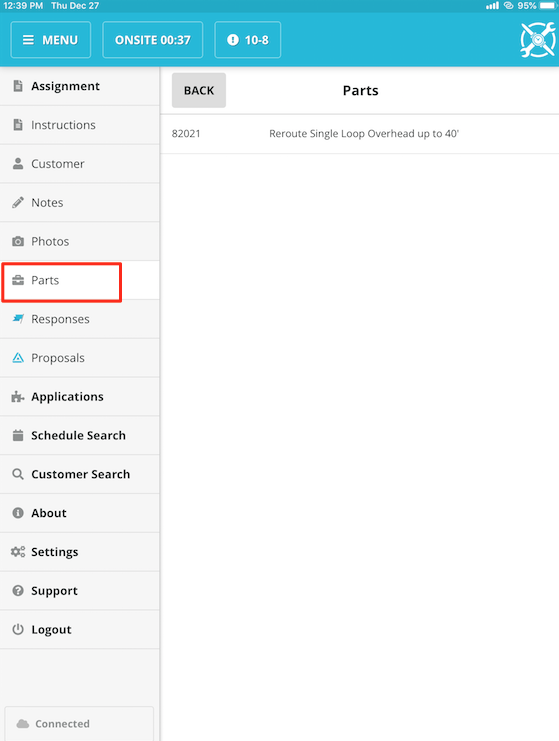 Locate the part in the list of parts, and enter a serial number for that specific part, and click Save.